Punxsutawney Phil predicted an early spring this year, which means sunny days spent on the golf course are just around the corner. Until then, read how Santa Cruz, Calif., Lodge No. 824 used its Elks National Foundation Promise Grant to inspire kids to take up the sport. 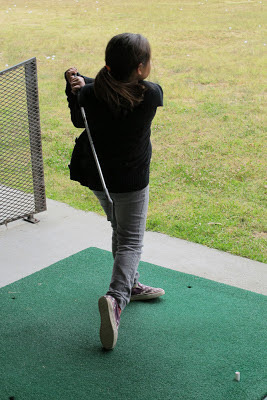 Through the Lodge’s First Chance Youth Golf Clinic, more than 75 kids learned the fundamentals of the sport. Elks helped these young golf pros polish their swings during the six-hour clinic, and provided lunch for all participants. The event was a success for the young athletes and Elks alike—kids gained new skills and new friends, and the Lodge gained two new members. “My son really enjoyed the event, as well as making new friends,” explained one participant’s parent. “He is very excited to learn more about golf."